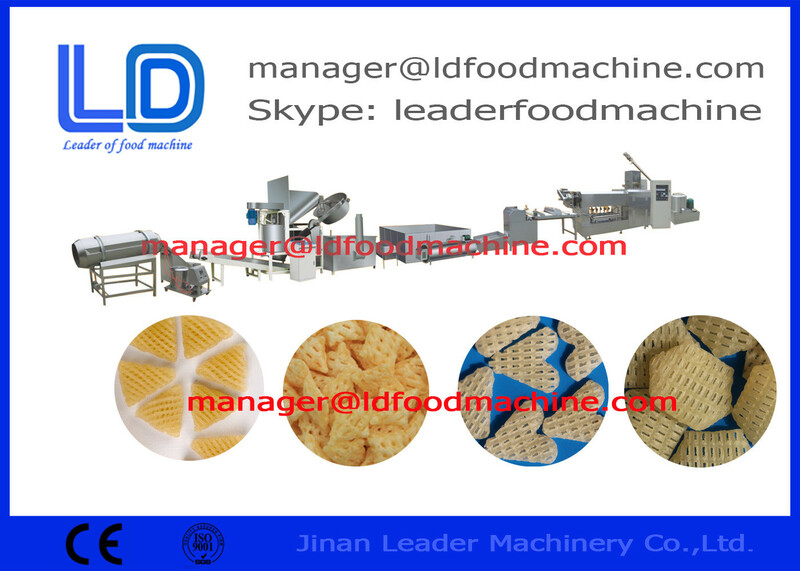 is designed for making the pellets, chips, fried snacks by single screw extruder machine. Raw materials can be potato starch, corn starch, wheat flour,cassava starch etc. Throuh the extruder cooking, the snacks can be shaped in many different shapes, like shell, screw, spiral, square tube, circle tube, and so on. 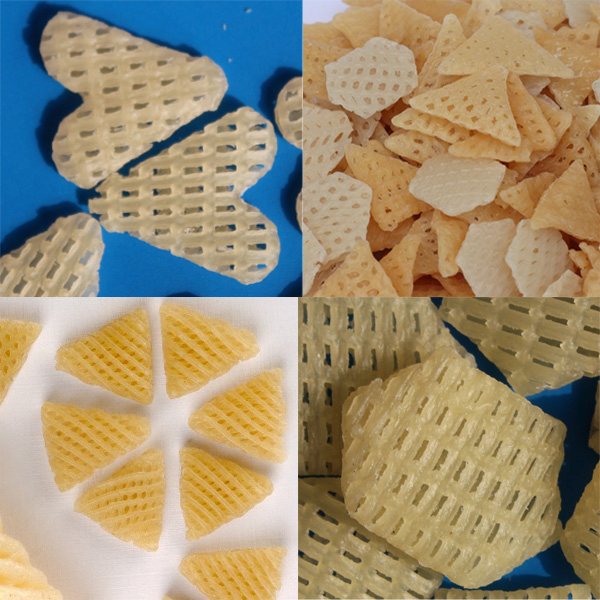 After drying and frying, flavoring with the flavor powder can get delicious snacks food.Also, by changing the shaping machine we can produce 3D pellet, waved chips, potato chips, shrimp chips and so on. local voltage of different countries. 5. Cooper Pipes used for cooling cylinder, they are quite durable than plastic rubber pips. more clients all over the world in the future. We are located in the famous industry city-Jinan city, capital of Shandong Province. the whole complete processing line for all kinds of expanded snacks, corn flakes, nutrition powder, and pet food and so on. Our technical assistance will help clients produce high quality products all the time. As a leading manufacturer of inflating food machinery, we are selling and marketing the machines to many countries in the world. We keep improving our machines and upgrading techniques to satisfy the requirements of all the clients. Depending on our rich experience and professional experts on the extruded food industry, we could offer the most suitable and complete program to assure that your investment will get biggest profit. get biggest profit.